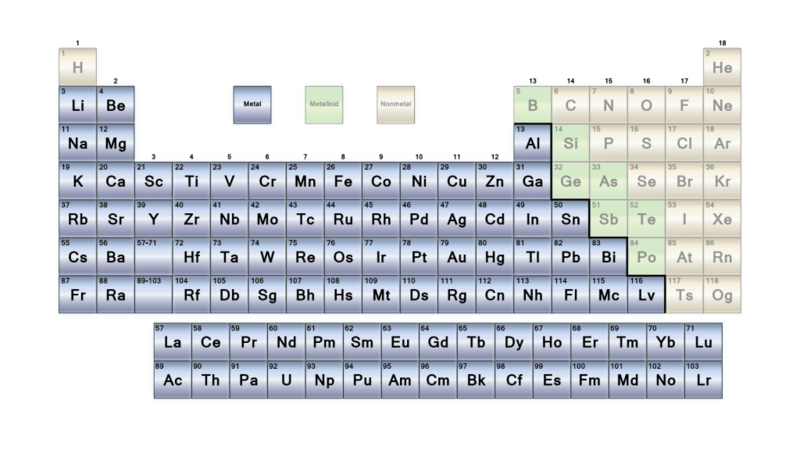 The highlighted elements are considered the metal elements. Most elements can be considered metals. They are grouped together in the middle to the left-hand side of the periodic table. The metals consist of the alkali metals, alkaline earths, transition metals, lanthanides, and actinides. *Bonus Fact* Under certain conditions hydrogen can act as a metal element. These conditions are typically found under extreme conditions such as high pressures or when frozen solid. This is a list of metals in order of increasing atomic number. This is really helpful, can you put things like this for planents. Thanks!